You may have noticed that we have uploaded dozens of Helmut Roland’s beautiful photos of 2018 World Ten Dance Championship. If you didn’t see it yet, go and have a look, you won’t be disappointed! 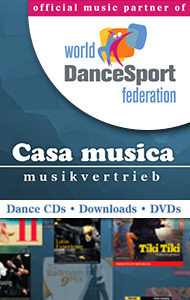 In addition, we have also many videos uploaded on DanceSportTotal YouTube channel and to this blog. 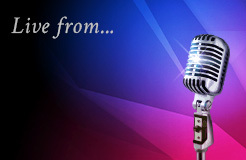 We have been busy uploading media a bit later than usual due to delay of the final stages of the competition. As you may have heard, something unexpected happened and the competition was over long after midnight. Unfortunately, few of the most important devices of running the competition had a sudden technical failure at the same time at the most critical moment of the competition. We could say Mr. Murphy came for a quick visit. On our behalf we would like to apologize for these delays. On a positive note, when something unexpected happens, it is always a good possibility to learn. We all have learned from it, we are more prepared for the unexpected, and we can now turn our focus on the 2018 World Championship Standard in Vienna. It was a long night but it just showed everyone the best aspect of sport – unpredictability. 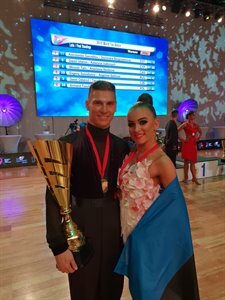 After Standard round of the final Daniil Ulanov and Kateryna Isakovych from Cyprus had a lead of 13,25 points over the Estonians Konstantin Gorodilov – Dominika Bergmannova. It seemed like a clear case! But with their strong and determined Latin round the Estonians proved it is not over until it’s over and took home the title with a margin of 1,48 points. What an amazing Latin final they had! 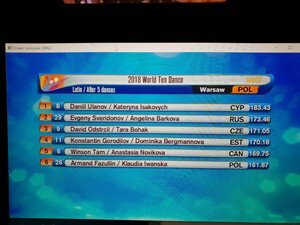 Another couple having a strong Latin round was the Canadians Winson Tam and Anastasia Novikova, who reached the podium and received bronze medals starting from 3,71 points chase after Standard and finishing with 7,08 points lead over Russians Evgeny Sveridonov and Angelina Barkova. The Russian couple was fourth, David Odstrcil and Tara Bohak from Czech Republic fifth, and the Polish couple, the clear favourites of the home crowd, Armand Fazullin and Klaudia Iwanska ranked sixth. It was certainly one of those nights to remember. The 2018 World Championship Ten Dance turned out to be a true example of endurance, style, grace and precision. That is what DanceSport is all about! After four rounds of Ten Dance we have the final results. The winners and runners-up gave us an outstanding evening with this extremely demanding competition format. 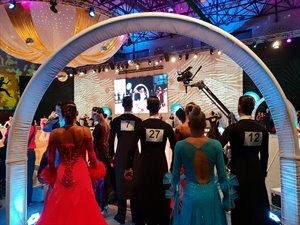 This is DanceSport at its best and at its toughest. The marathon continues as we speak. The standing after the first five dances of the final round sets the scene for the last five dances. 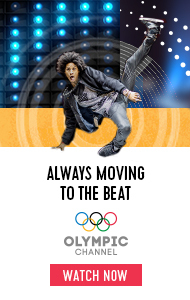 It's not a marathon only for the dancers. We just spotted someone having a good sleep at the corridor! Sleep well, buddy! This is the final six. Ten more dances to go. And yet, all of the finalists would want one more after that, the Dance of Honour. The excitement is almost touchable and the fans are supporting the couples as much as they can. It won't take long to find out who has got what it takes to be the new World Champions. Two rounds and twenty dances later we have the list of semifinalists. It is a half-way mark for those six couples who will eventually make it to the final. But first, they all dance their hearts out to show everyone how they are the ones who should be included in the final six. The semifinal begins at 20:00 CET with Latin. Good luck to all couples! At the same time, we are uploading tons of videos on YouTube of the first round. Go and have a look! Quarterfinal is half way through and the couples are changing their clothes for Standard. They’ll come back to the dance floor shortly, to continue their Dance Marathon. We have seen some amazing performances and beautiful dancing so far. The arena has been decorated beautifully and the couples add their own sparkle and colour with their carefully considered appearances. The crowd appreciates these athletes and shows support to their favourites. And it is earned, these dancers enjoy the warm and supportive atmosphere, which gives them energy and strength during the very long competition day. And there’s more to come as we are getting closer to the semifinal. According to the schedule it will start at 20:00 CET with Latin and continues with Standard at 21:00 CET. We will have the list of semi-finalists soon. Stay tuned! And there's plenty of time to join us at Flodance. The decisive stages will begin soon and we are about to go live! The quarterfinal will begin in less than 30 minutes. 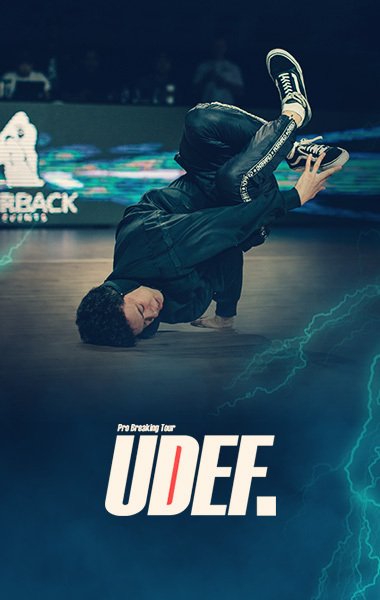 We will begin our LIVE stream through our partner, www.flodance.com from the quarterfinal onwards, followed by semifinal and the final. 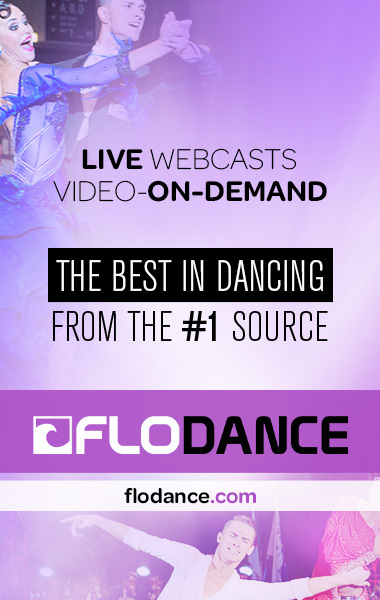 Subscribe to the Flodance.com platform for an amount of 12,50 USD/month, provided you commit to a one-year subscription. The alternative would be a monthly subscription of 30 USD. We just can't wait to see it all! Search videos by round (R1, R2,...), country (ESP, CHI, FRA,...) or name.